Liberty and Freedom sure stick to the bald eagle schedule! True to our expectations, the chicks hatched two days apart, mirroring their laying interval. 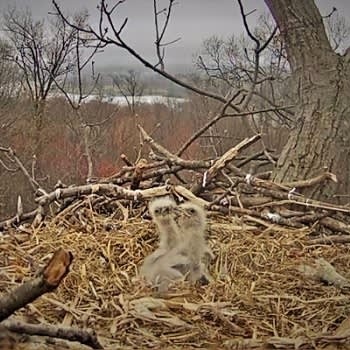 This week, many of us have likely been sneaking peaks at the Hanover nest every chance we get, soaking up what can objectively be described as adorable offspring. The first hatchling is here! 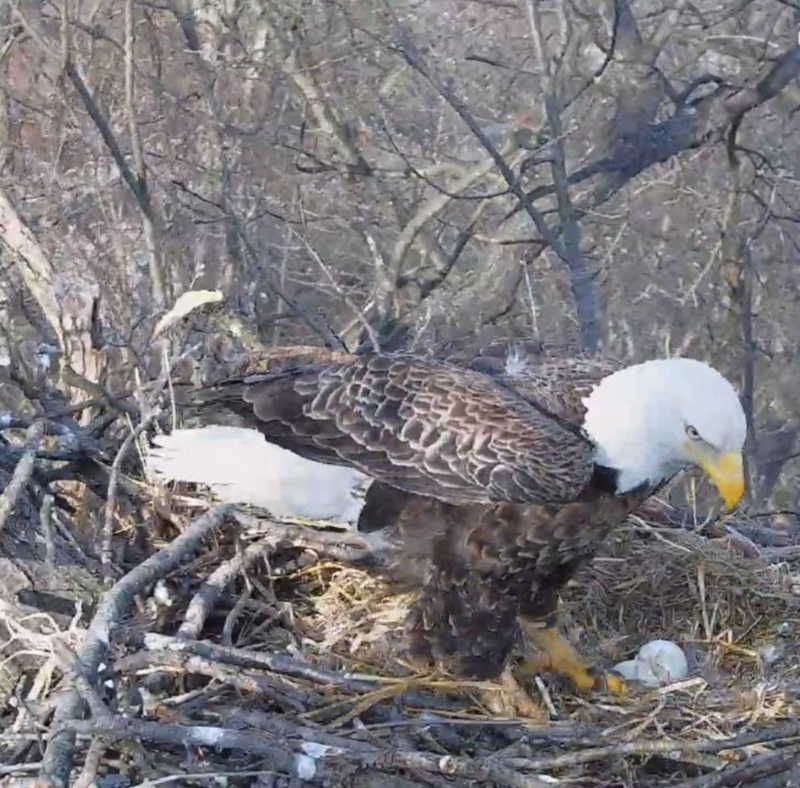 At approximately 9:20 this morning a tiny, beautiful, scrunched up altricial baby eagle unfolded into our world. There can be no doubting it now, Spring is here. Right now, while Liberty and Freedom are sitting on a nest, there are thousands of bald eagles engaged in flight, returning to breeding grounds to begin the process themselves. 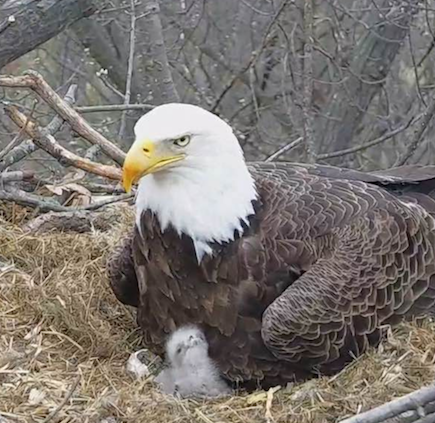 Hawk watch sites across North America are reporting sightings, and on March 21st Hawk Ridge Bird Observatory in Duluth Minnesota broke their previous one-day count for bald eagles with a whopping 1,076! This week another intruder event was documented at the Hanover nest, eliciting an array of vocalizations from the incubating parent. 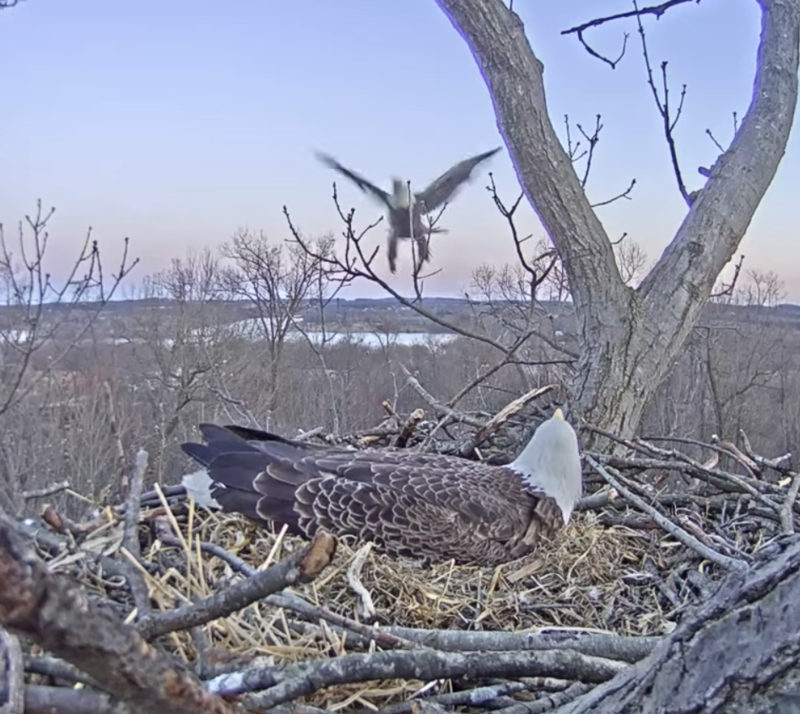 When witnessing this type of behavioral interaction, it may seem odd that another eagle would try to disrupt Liberty and Freedom at this stage in the breeding season. Is it to steal a mate? A territory? The nest site? Have you ever wondered what is responsible for the color of bird eggs? 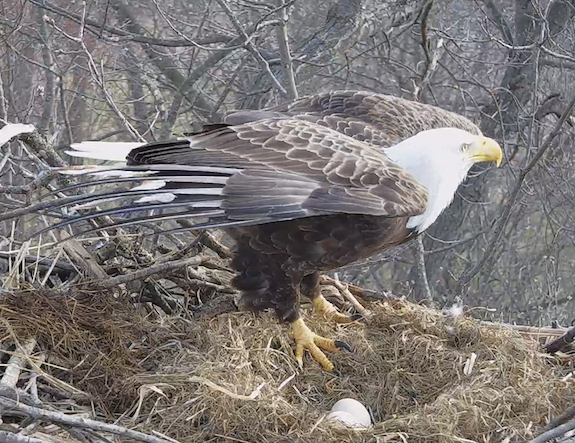 In your brief glimpses of the eggs on the Hanover nest you have probably noticed they are white. The causes of egg coloration have been a topic of much debate throughout the history of oology (the study of eggs). Copyright: © 2018 IPVS, Inc.